Burmah Classic 70's Racing Stickers. 8" Pair. Burmah Classic 70's Wider Style Racing Stickers. 8.5" Pair. Burmah Classic Black & White Racing Stickers. 8" Pair. 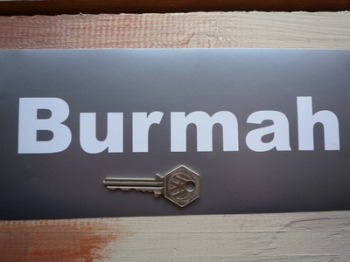 Burmah Cut Vinyl Close Text Stickers. 6" Pair. Burmah Cut Vinyl Spaced Text Stickers. 8.5" Pair. Burmah Red & Blue Shaped Stickers. 4", 6" or 10" Pair. 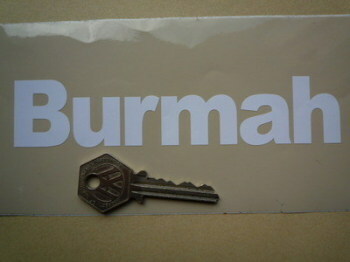 Burmah Red & Blue Sticker. 12".